If you’re looking for affordable Toyota vehicles with navigation, visit Rusty Wallace Toyota for an impressive selection of options. Given the advancements in technology, auto navigation systems are better than ever before. Navigate with ease through Morristown, Knoxville, and Sevierville – but first, stop by the dealership for your test drive! Toyota vehicles with navigation give drivers extra confidence while tackling the unknown. Not only will you get the benefits of Toyota’s rock-solid reputation and reliability, but you can also get the latest directions to any location in an instant. Why do customers love Toyota? Toyota Navigation can be activated via touchscreen commands or voice recognition technology. Drivers can input addresses manually or search from categories while on the go. The navigation system may be linked to your smartphone for a more streamlined experience. 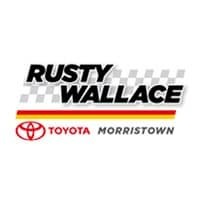 Check out popular models like the 2018 Toyota Camry and 2018 Toyota RAV4 at Rusty Wallace Toyota – just a short drive from Morristown, Knoxville, and Sevierville!